This post was updated on 4/24/15 to reflect updated information. Not many people know about this Fannie Mae mortgage program, so please keep it in mind as an opportunity. Fannie Mae’s Family Opportunity Mortgage helps families buy or refinance a home for elderly parents or disabled children and take advantage of owner-occupied interest rates. So even though the qualifying family member may already have an owner-occupied home, they can still take advantage of this program. Otherwise, the loan would have to be structured as an investment property, which has higher interest rates, qualifying restrictions and larger down payment or equity requirements. Here are general requirements for the Family Opportunity Mortgage. General requirements are the same as assisting elderly parents, but must be able to document that your child is disabled. Interest rates on this program are the same as rates for a primary residence purchase, since this is how the loan is structured. There is no other case where having two “primary” residences is acceptable. Hi Janice, since it’s a Fannie Mae program, the only restriction is that the loan amount cannot exceed the high-balance limits for the county in which the person is purchasing. I am going through a Family Opportunity Mortgage right now to by a house for my disabled parents. All is well except getting the homeowners insurance. The underwriter needs a owner occupied homeowners policy since it is structured as an owner occupied loan but the insurance company will not cover it as owner occupied coverage since I will not be living there and own another house that I live in. My question is how do you get insurance for this type of structured loan? Hi Tommy, that’s frustrating. I never had an underwriter or an insurance company question what my clients did. Can you try a different insurance company, or if they continue to give you trouble, ask your loan agent to escalate the issue at the lender? Good luck. Do you know any lenders who do this program with 5% down in South Florida. Every lender I talk to either doesn’t know about this program or does not have an investor to sell it to? Hi Andrew, I’m only licensed in the state of California, and am not familiar with lenders or programs offered in other states. This is a Fannie Mae program, so it should be nationwide, but lenders may have “overlay” rules. Good luck finding someone! 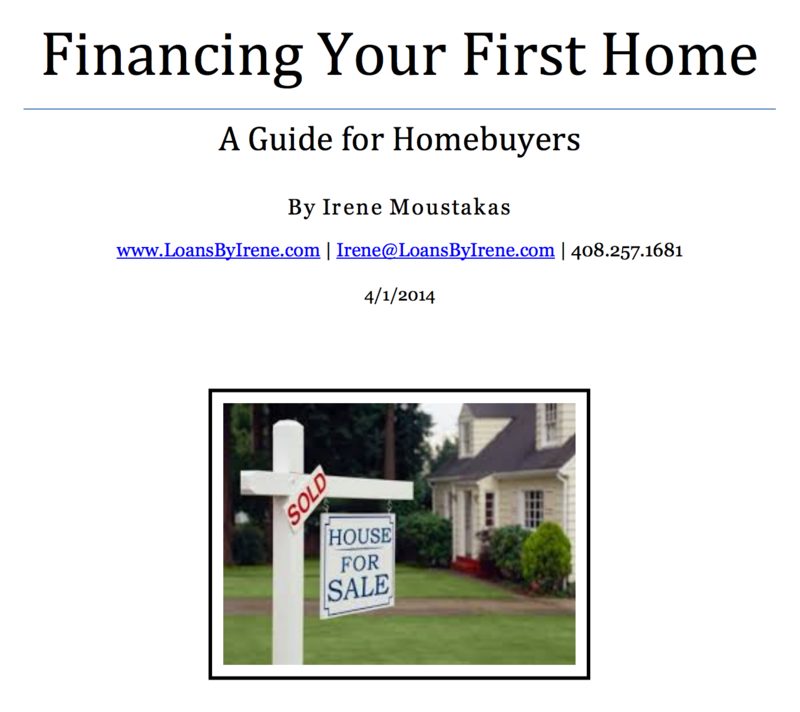 Do you know what lenders have this program in California? Who do you recommend? Hi Rose, I work with a handful of lenders that have this program and would be happy to help you secure financing. Send me an email (irene@loansbyirene.com) with your details and situation, and I can get back to you with numbers, interest rates and to answer any questions you have. My elderly parents currently live abroad and are moving to the USA, and we plan to buy them a home. But because they are coming from abroad they don’t have US tax returns. Can I still apply for the FHO loan? Are there other ways to show proof of income? Hi Sarah, unfortunately, the underwriter/lender has to determine that your parents have insufficient income to qualify on their own, and the only way to do that is through tax returns. So if they did not file for U.S. taxes the previous two years, you cannot apply for this type of mortgage. My mom and I bought a property together in 2014 that she lives in. I maintain my own separate single family primary residence. The property my mom lives in was purchased as an “owner occupied” property and I assisted her with a 20% down payment. She wouldn’t get qualified for the loan on her own due to her low income. Now we are both on the loan and title. My question is about property taxes and mortgage interest. Since her income is low, she would not benefit from itemized deduction and will, therefore, be filing her taxes with standard deductions. That said, can I claim the property taxes and mortgage interest paid on the house on my tax returns by identifying the house she lives in as my second home? And does it matter if the mortgage statement and interest statement we received only has my mom’s name on it? Irene, is it true that you cannot already own investment properties to qualify for the Family Opportuntiy Mortgage? Hi Rob, I never got alerted to a new comment; my apologies for this delay. Yes, that is correct. If you want to purchase a home for an elderly parent or disabled child and take advantage of Fannie Mae’s primary residence exception, you cannot own any investment properties. My mother is on SSI and does not file taxes. We are in Washington State. Please help me get my mother into a home. She is currently living in a 5th wheel behind someones property. This 5th wheel is old and falling apart. We would only have 3-3.5% to put down. My husband and I just purchased a home in Jan of this year. So this would be a home for her but us qualifying for the loan. 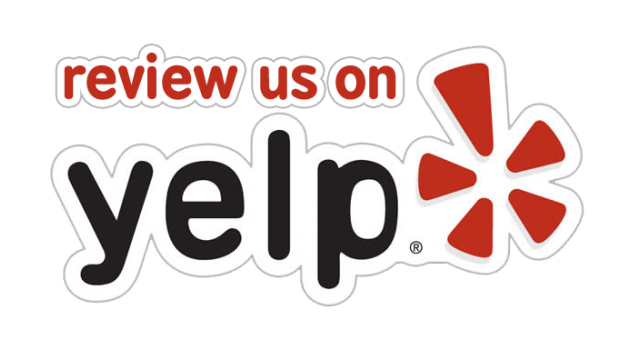 What can you recommend for us? Hi Tia, I cannot assist you with this loan since it isn’t in CA, but if your mom’s SSI is not sufficient enough to qualify for a home, then it sounds like something you can help her with, assuming you also qualify for both housing payments. I recommend contacting Rhonda Porter http://mortgageporter.com/contact-rhonda-porter for assistance in Washington State. Good luck! Are there age limits for the “elderly” parent? My parent is 60 and i would like to use this loan. Hi Jacki, thanks for your inquiry! There are no age limits for the parent; we just need to document that they cannot afford the housing payment. If the purchase of the home is in CA, this is something I can assist you with. thank you! I am trying to find a lender for a client who is looking to purchase a home for his mother in law in FL. I realize you are in CA, but was hoping you may have heard of any reliable lenders in FL. I am not familiar with this program, and I don’t have lenders who would offer this program, but trying to help my client with their research. Hi Elena, your comment went to spam; thus, my delay. Any lender that follows Fannie Mae guidelines with no overlays should do this loan. It’s part of their definition of a “primary residence”. Most of my lenders will lend on this with no issues or overlays, so it should be pretty easy to find. Good luck! Hi. My father is on a fixed social security income. He can currently afford his loan, but it is an ARM, and it is going to adjust in Jan 2019. At that point, he may not be able to afford the payment. Can this program be used to help him refi to a rate similar to what he has now. His ARM rate now is only 3%. P.S. I used to have a 408 area code about 20 years ago – brings back good memories. Hi, Irene. I’m wondering what ratio of mortgage amount vs. parental income an underwriter would need to see to qualify a loan in this program based on Fannie Mae policy. I’ve heard a few differing numbers and just wondered if there is an absolute threshold published anywhere, or if it simply varies based on the lender’s internal policies. So, for example: for a 800/month loan, would a combined monthly parental income of 2k allow me to purchase a home for my parents under this program, or would they be deemed able to afford on their own? Also, can the term of the loan be adjusted to make qualification easier? For example, getting a higher monthly payment via a 15 year loan as opposed to a 30 in order to move them more firmly into “can’t afford” classification? Hi Ian, Fannie Mae allows qualifying ratios of either 45.0% max, or 50.0% max. Up to 50% depends on less risk, but it’s for Fannie Mae to determine. If we’re looking at $800/month total housing payment obligation divided by $2000 monthly income, then that ratio is 40%, and therefore, your parents would qualify on their own. Great question asking about the 15 Year loan. I just ran this by one of the lenders they work with, and they said that the qualifying requirement would be based on the product you are applying for. So if this brought your parents’ ratio above 45% or 50%, then yes, you would buy for them as a primary residence, assuming qualifying and other requirements are in place. Send me an email directly if you have additional questions – irene@loansbyirene.com Thanks! I was wondering if I would qualify for this loan to purchase for my mother. I live in an apartment, but I own a home that I’m renting out for the amount of the mortgage so I’m not making money off of it. Does that still qualify as an investment property? If so, could I apply for the FOM with my sister who lives in her home and meets the other qualifications, but maybe not the income based on the amount of mortgage we’re looking at? Thank you! Hi Stacy, as long as you can document that your mom herself is unable to afford the mortgage/housing payment, then you can purchase a house for her under this program (and with your sister as well). If I can help, and if the property is located in California, I can assist with the transaction. Thank you! Hello! I have a question, I purchased a home for my mom last year under this program. Great program! I do have a question though… since she did not qualify for the payment on her own, we each contribute to the pmt. Do I need to report her portion as ‘income’ on my tax return? Thanks in advance! Hi Patricia, this is a question for your CPA or accountant. Sorry I can’t assist with this one! If you purchase a home for a disabled child via the Family Home Opportunity mortgage, can you treat the home as rental property for tax purposes. Our disabled daughter will live with one roommate, both of whom will pay rent. It has been extremely hard to find an answer to this question. Hi Jeff, if your intention is to collect rental income on the property, then you should technically apply for the loan as a rental property. You are certifying that the purpose is for owner occupancy and therefore not going to collect rent. Lenders do have you sign an occupancy affidavit stating no rent would be collected for at least 1 year. Please email or call me to discuss further. From reading the comments, it seems we likely wouldn’t qualify for the Family Mortgage because of my tax record. So the only remaining options seem to be for us to go in as cosigners–which might not fly because of my limited income and lack of credit–or for her to buy the home in her name, but then be subject to all the pitfalls of an investment property. Is that about right? Would you have any suggestions for us? Thank you! Hi Jessica, you should qualify just fine for this. An underwriter may require to order tax return transcripts directly from the IRS though. If you did not file taxes, then the result will show “No Record Found”. That, coupled with a letter explaining you did not file taxes due to lack of income, should suffice. I wish I could help you, but I can only assist if the property was in California. Good luck! What if some time after the purchase and loan is established the parent decides to move? Is the any issues related to this occurance? Hi John, the owner-occupancy affidavit you would be signing states that you (the parent, in this situation) will be living in the home as the primary residence for 12 months minimum. After that timeframe, it would be okay to move out or convert it to a rental. Is this program still available in 2019? Yes! Contact me via email for a specific scenario – I can assist if the property is in CA.